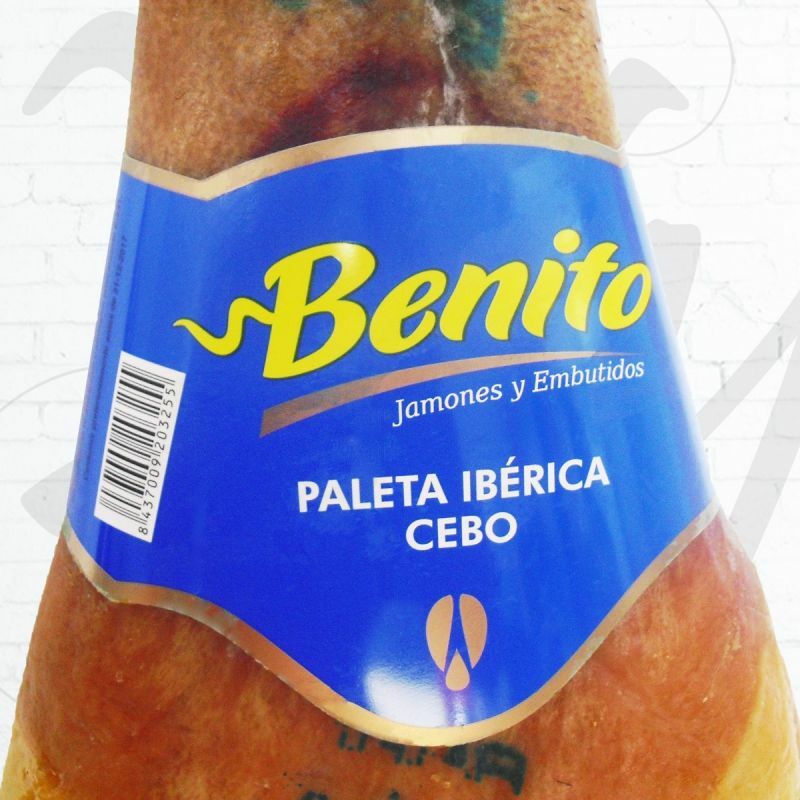 "Benito Garcia' Iberian cebo shoulder. Weight 4-5 kg approx. Seasoned for more than 18 months. "Benito Garcia" cebo 's shoulder is made form Iberian pork meat. Those pigs reared in the pastures of Salamanca montains fed with feed for pigs and natural fodder. 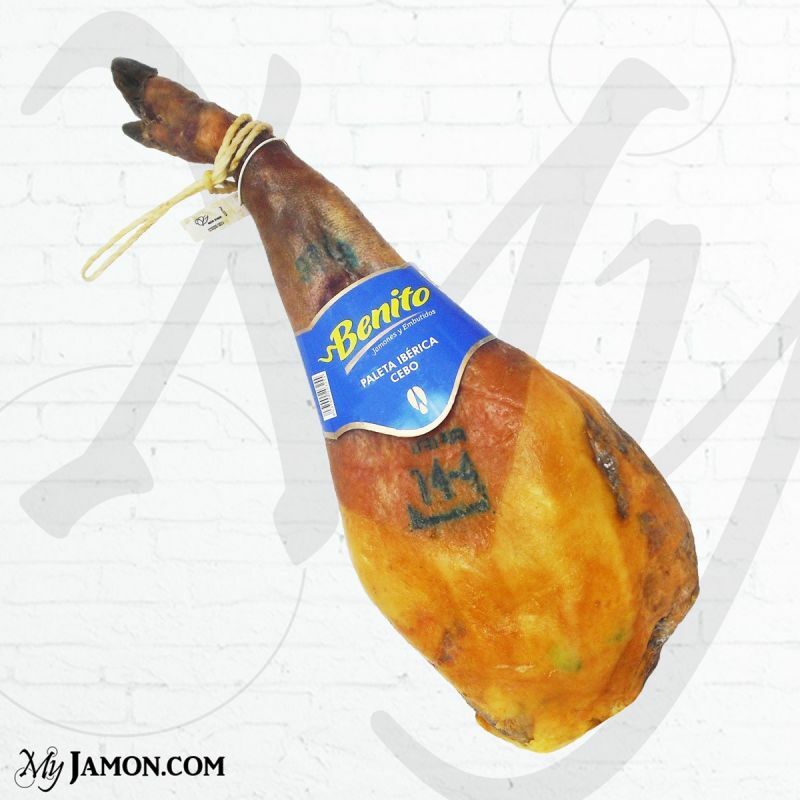 That Iberian ham has great quality thanks to a traditional cure and seasoning, Seasoned for more than 18 months.